Beccles Farmers Market – Page 5 – "Bringing you fresh local produce at affordable prices"
Battle of the Bangers is back this Saturday! Posted byhundredriver October 31, 2017 November 1, 2017 Posted inMarket UpdatesTags: #supportlocal, Beccles, Farmers MarketLeave a comment on Battle of the Bangers is back this Saturday! Support your local Farmers Market this Saturday! 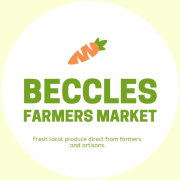 Despite the predicted blustery winds we're looking forward to seeing you this Saturday for our regular Beccles Famers Market. You'll find a varied selection of delicious fresh local food and artisan products between 9am - 1pm. Posted byhundredriver October 19, 2017 October 19, 2017 Posted inMarket UpdatesLeave a comment on Support your local Farmers Market this Saturday! The Great British Apple Special – This Saturday! If all that's not enough there will also be; Locally reared Beef, Lamb, Chicken, Pork, Fresh Veg, Handmade Jams, Marmalades & Chutneys, freshly caught and traditionally smoked fish and cheese, wood turners, carvers & jewellery makers, hand-made Belgium chocolate truffles, pressed apple juice, free-range woodland eggs and various baked goods… phew! Posted byhundredriver October 6, 2017 Posted inMarket UpdatesLeave a comment on The Great British Apple Special – This Saturday! British Food Fortnight 23rd Sept – 8th Oct. We celebrate the best of local produce every fortnight from 9am – 1pm at Beccles Farmers Market and this week 16th September is no exception. Posted byhundredriver September 14, 2017 Posted inUncategorizedLeave a comment on British Food Fortnight 23rd Sept – 8th Oct. We celebrate the best of local produce every fortnight from 9am – 1pm at Beccles Farmers Market and this week 16th September is no exception. Visit us this morning between 9am - 1pm! You'll find the usual selection of delicious fresh local ingredients and quirky or crafty delights. Come on down tomorrow from 10am for the usual selection of over 25 stalls of fresh, quality local products and artisan delights. Delicious Suffolk Goats Cheese will be back alongside Mrs Bacon with her specialised tea-towels and cookery book as well as Spinspired with their gorgeous hand-spun & homemade wool products. Alongside these we will have our usual selection of; Locally reared Beef, Pork, Chicken, Lamb, Raw Milk, Fresh Veg, Handmade Jams, Marmalades & Chutneys, freshly caught and traditionally fish and cheese, wood turners, carvers & jewellery makers, hand-made Belgium chocolate truffles, specialty fudge, pressed apple juice, free-range woodland eggs, various baked goods and real ale... phew! And don't forget you can win yourself over £30 of market goodies through our regular market raffle. We look forward to seeing you there! Join us from 9am onward to find a variety of tasty fresh produce and artisan delights; Everything from local beef, lamb or chicken to free-range eggs, pastries, handmade chocolate, raw milk, preserves and organic bottled ale, or even beautiful hand spun and knitted wool products ... The list goes on! ... Why not come along and see for yourselves!